Choose between Clear Skin, Calm Skin, Bright Skin or Firm Skin Facials and get your full size mask to take home with you. While supplies last we are also offering a complimentary head band for those facial nights at home. 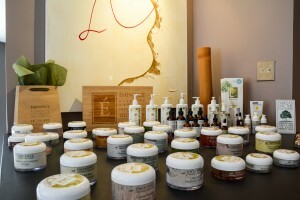 Facials will be paid for at the first appointment and your gift will be ready for you to choose.